This past Sunday, I went to the Jack Bush retrospective at the National Gallery of Canada in Ottawa. I loved the show, primarily because the paintings were so bright and colourful. 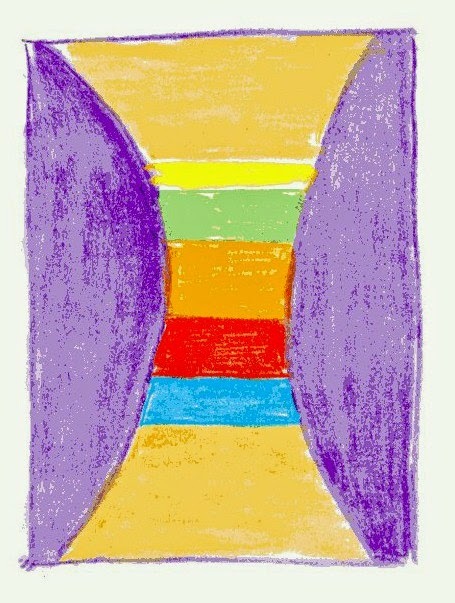 My favourite paintings were called the "Sash" paintings, which he did in the mid-1960s. When I went home, I decided to try some drawings in the style of these Sash paintings. This is my first effort. 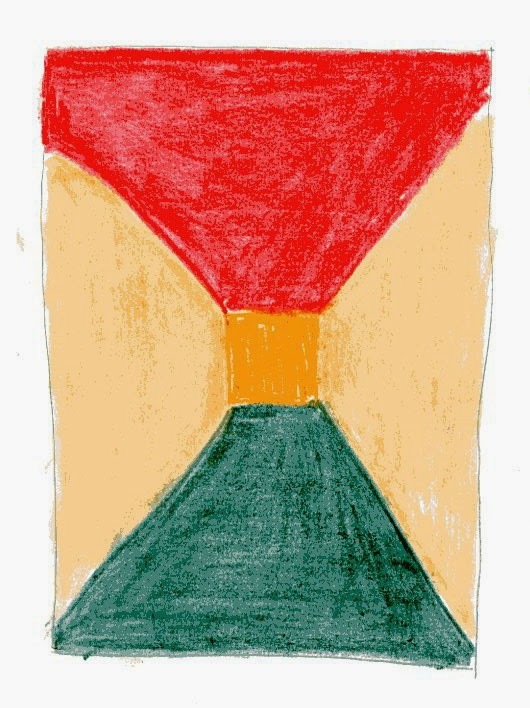 I discovered that it is not easy to imitate a Jack Bush Sash painting. His colours and shapes and lines worked so well together. But I had fun trying. This is my second attempt. I was imitating one of my favourite of his paintings, called "Tight Sash". 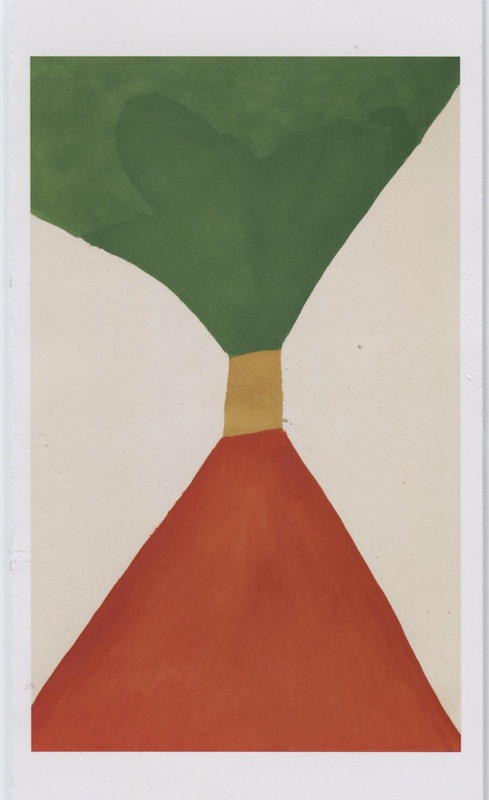 Again, I found it really difficult to replicate what he had done with his work - the almost perfect composition of colour and shape. 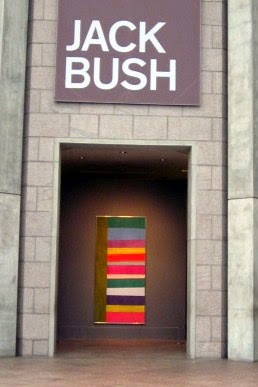 Here is a photo of Bush's "Tight Sash", from a National Gallery brochure. Isn't it amazing? I really liked Bush's work when I looked at the paintings, but I have even more respect for it now that I have tried doing the same sort of thing myself. Anyway, it is a good show - highly recommended. Thanks for the heads up. I'm gonna try and get there over the holidays. Sounds like a great show!